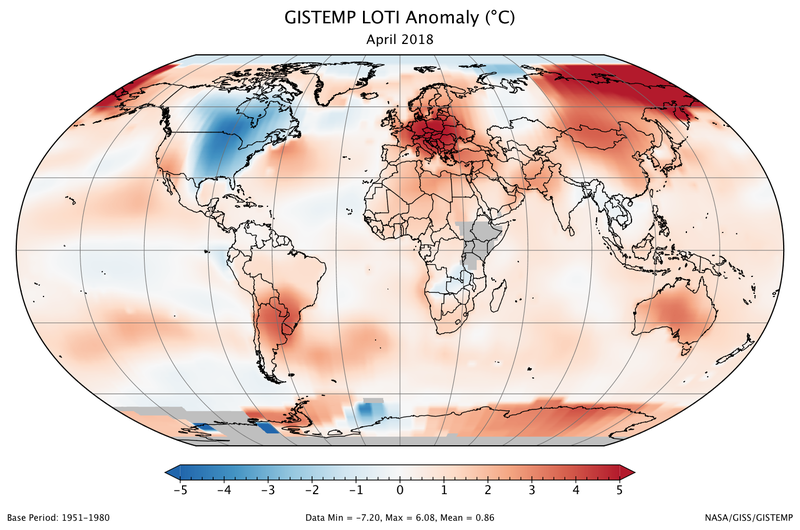 In spite of the low temperatures in parts of the United States last month, 2018 experienced globally the third warmest April in 138 years of modern record-keeping, according to a monthly analysis of global temperatures by scientists at NASA's Goddard Institute for Space Studies (GISS) in New York. 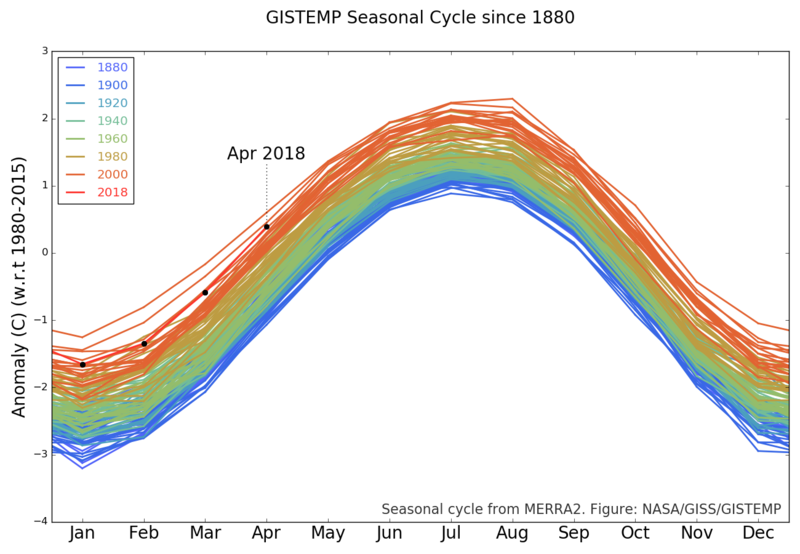 Last month was +0.86 °C warmer than the average April of the 1951-1980 period; this value is in line with the 1.8 °C/century rate of increase of the past 40 years. Only April 2016 (+1.07 °C) and April 2017 (+0.92 °C) were warmer than the past month, and April 2010 (+0.84 °C) was only insignificantly cooler than this year's April.